Cut baguette into slices about 1 inch thick and drizzle with olive oil. Toast slices for 5-10 minutes on 350 degrees and place on a plate. 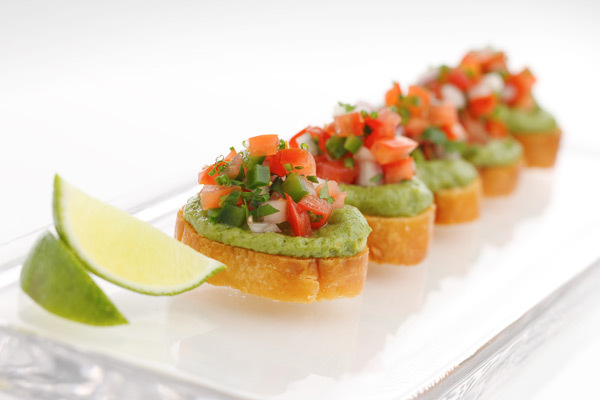 Spread Del Monte® Fresh Guac on bread and top with a spoonful of Pico de Gallo. Squeeze lime juice over slices and add salt and pepper to taste. Enjoy as a quick, fresh snack or an easy appetizer.